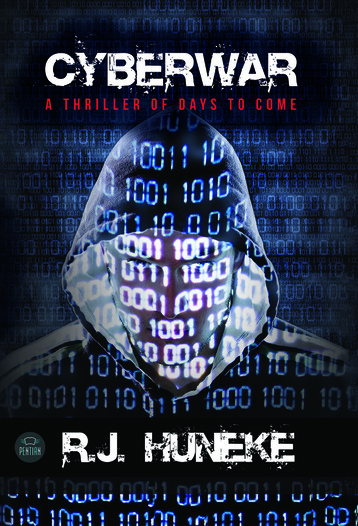 ​CYBERWAR was released from worldwide publisher Lantia, on May 5, 2015 and is available in hardcover (first printing sold out), softcover, and eBook (Kindle, Nook, iBooks), wherever books are sold. 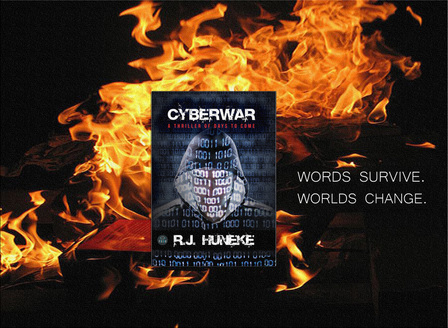 Experience R.J. Huneke’s latest sci-fi thriller Cyberwar: a longtime writer and columnist, Huneke has taken years of research and modern day speculations on technology and spun them into an electrifying journey into a dystopian society dominated by cybernetic hackers. His extensive knowledge on cyber warfare, robotics, grinders, and political protest, as well as his strong female protagonist are what set this riveting story apart.